Plain old Frank Lowy worth a reputed $8Billion who lives in Sydney's Bellevue Hill now becomes Sir Frank Lowy. 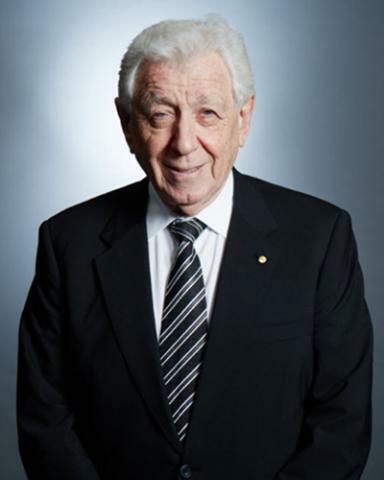 Lowy is the mastermind of the giant Westfield Shopping plazas that now dot the landscape in Australia, the US and the UK. He was quietly knighted a month ago. One of Britain's largest Westfield is in the shadow of the dreadful Grenfeel building in West London. The Brits have taken to them like ducks to water. And it was not for the services of confusing shoppers world-wide as to where they parked their car in a Westfield car-park, rather for his services to industry which have been considerable certainly in his adopted Australia where he arrived as a penniless refugee after WW2. You could read more of Sir Frank's fascinating history here.